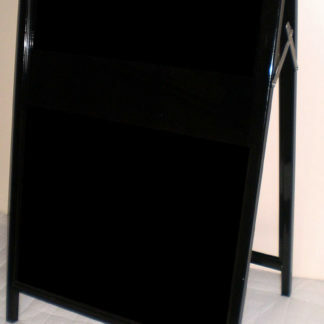 Black gloss acrylic board 900 x 595 to fit A frames. Other sizes on request. 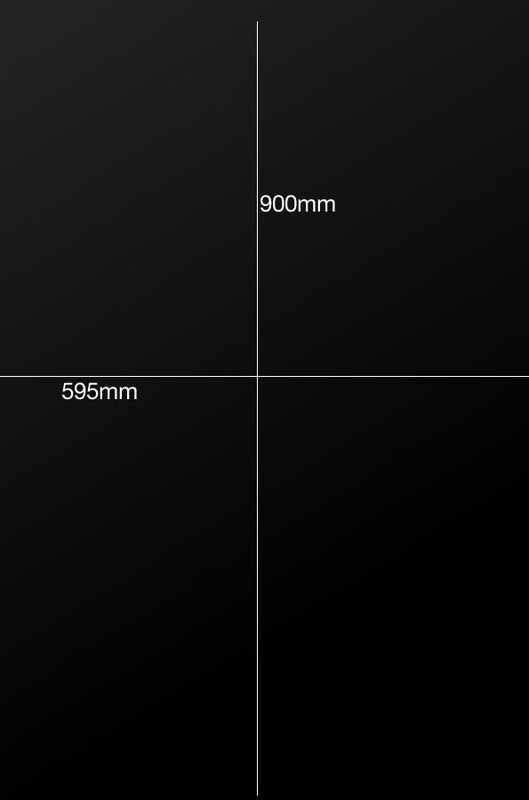 High gloss or matt black acrylic board – 595mm x 900mm – never needs re-painting. Gloss boards work for liquid chalk. Matt boards (no re-painting required) work with liquid AND normal chalk. These boards highlight the chalk and make your product stand out! The high gloss acrylic finish makes them easy to read, easy to wipe off and long lasting, even outdoors. Permanent plastic lettering can also be applied to the board. 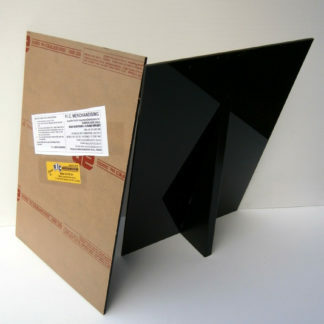 595mm x 900mm boards can also be made into an A-frame or sandwich board for display on the footpath. Ideal for shop front windows, point-of-sale signage and menu boards. 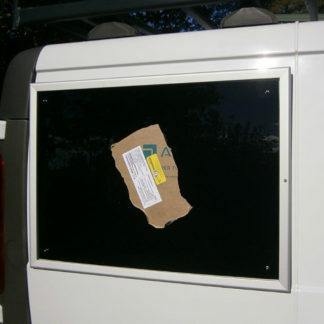 Able to withstand the heaviest downpour, black acrylic boards are ideal for outdoor signage in nurseries, car yards, roadside stalls and markets.